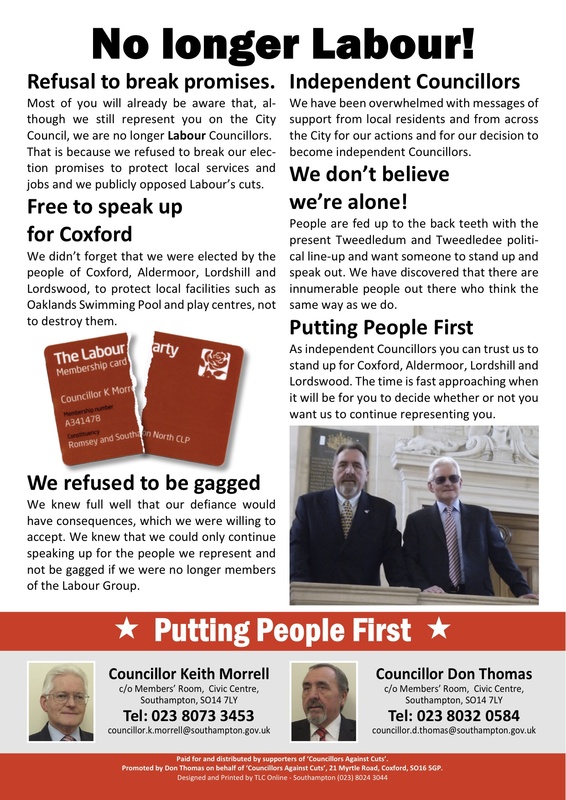 As elected councillors for the Coxford ward in Southampton we have refused to vote for cuts to jobs and local services such as Oaklands Pool. We reject the argument that the government cuts to local councils is necessary. We believe this council should put people first. We call on Southampton Labour Council to stand up to the government and refuse to implement their cuts. The people of Coxford have shown what is possible by fighting for the future of Oaklands Pool. Such a stand has forced the council to agree to re-open the pool and shows what is possible.